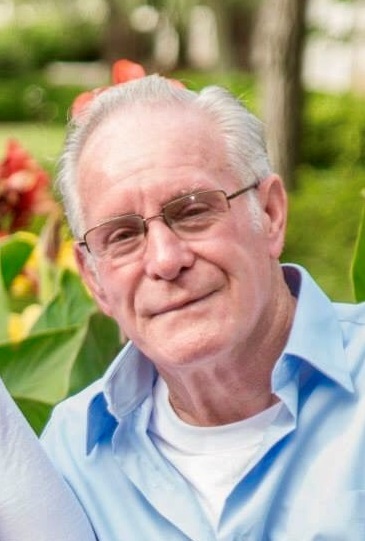 James Edward Davis, 77, of St. Pauls died Sunday February 10, 2019. He was born in Moore County, NC January 23, 1942 to the late Walter Leslie and Virginia Dare Lane Davis. He was a master in tinkering. He loved tinkering with small engines, lawn mowers and cars. He loved fishing especially when accompanied by his grandsons. Watching old western movies brought out the cowboy way. Lurking beneath a quiet, reserved exterior was a terrific sense of humor. He liked watching professional football, always pulling for the Washington Redskins and when it came to basketball no team could compare to Duke. Faithful in his religious life, he was a dedicated family man loving them all, especially his grandsons, his “boys”. Preceded in death by his father and mother, Walter and Virginia Davis, he is survived by his wife, Margaret Suggs Davis; daughters, JoAnn Velazquez and her husband Angel and Tammy Floore and her husband Jimmy and former husband, Ariel Bautista; grandchildren, Steven Bautista and his wife Lindsey, Nico Velazquez and his wife Joanna, Andrew Bautista, Gino Velazquez, Jamie Velazquez, Javier Velazquez and his wife Eiliyana, and Jose Velazquez; great grandchildren, Nichelle Bautista, Elijah Velazquez, and Santos Velazquez; and sister, Loretta Worrell and her husband Paul. A visitation will be held Tuesday February 12, 2019 from 6:00-8:00 pm at Calvary Cornerstone Holiness Church, 337 S. Elizabeth Street, St. Pauls, NC, with funeral services scheduled for Wednesday February 13, 2019 at 2:00 pm, also at Calvary Cornerstone Holiness Church, with the Reverend David Hodge officiating. Burial will follow in Oak Ridge Cemetery. Arrangements by McNeill Mackie Funeral Home of St. Pauls.